Macoun opens its account with "Rated People". 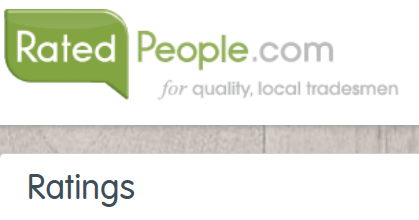 Today we opened an account with Rated People the blog for customers who are looking for good quality builders. We would always recommend that you get a personal recommendation from a friend or colleague but if that isn’t possible or the people whom they recommend is not suited to the scales of the work you are proposing, then sometimes the best avenue to go down is to use the Rated People style search forums on the web. The benefits of using this type of service are numerous as customers have an opportunity to see the builder’s feedback rather like ebay. Unfortunately not all good builders use these sites because they tend to want to only meet people who have their dream home planned in detail. We understand that this ideal is not always possible and so try to facilitate matching the best design service to the clients needs. A good designer can assist a client in a much broader way than a builder can because they are abreast of current trends, planning regulations and styles. Our advice is to get your new extension designed first then look for a good builder, they will be much more willing to help if they can see the bones of a job. In many cases if a client hasn’t already nominated a designer we can suggest reliable people who can fit the bill.